Founded by Mr. Gene Sugimura, Sugimura Finney Architects, Inc. (SFA) has been providing architectural services for education since its inception in 1983. The education market is our core business and specialty. Given this longevity, we have worked with a great many educational Districts over the years. Now in our fourth decade, Sugimura Finney Architects enjoys an excellent reputation in the educational community at two locations; the main office in Campbell, CA and the second in Fresno, CA. Simply put, we deliver well thought out design solutions that work in the real world, and respect your project budget requirements. Principal Mark Finney has over 35 years’ experience of success in the architectural field specializing in Education. SFA, a California Corporation, established in January 1983, is an award-winning design firm with a reputation for excellence and professionalism. The firm serves clients throughout Northern and Central California. SFA’s emphasis is on creative problem solving: "We strive to uncover the unique aspect of every project and express it as a design solution. SFA strives to satisfy the complex design requirements of education clients within the required budget and time frame, incorporating the latest technologies while also providing inspirational and functional facilities." 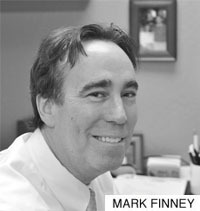 Because Mark Finney strives to his staff loyalty, honesty and commitment, we have created a trusting relationship with our long-standing clients such as the Franklin-McKinley School District and the Campbell Union High School District, as we anticipate will develop over time with any Bay Area School District personnel. Since SFA is often involved in complex educational and civic projects, we are especially adept at code compliance interpretation, including State regulatory agency requirements. SFA has an excellent track record of successful DSA approvals for K-12 educational facilities, especially in the Bay Area. SFA is also acutely aware of regulations, standards of Title 24, Title 9, the California Building Code, EPA, CEQA, and ADA guidelines in Title 24. With a staff of 20 full time in-house employees, (six which are Licensed Architects) SFA has the talent, depth, and staff experience to successfully meet your needs and project requirements on a timely and cost effective basis. Utilizing the latest in drafting technologies, such as AutoCAD and Revit, our staff and consultants are ready to start your projects and meet the time lines proposed by your Construction Managers. We enjoy the challenge of balancing the goal of designing exciting environments through a collaborative process, with the budgetary and regulatory realities inherent in California school construction.